Today is Good Friday, a holiday in many Christian-based religions that commemorates the crucifixion of Jesus Christ. In my faith tradition, it was a dark day of contemplation and prayer, one that was necessary before we received the promise and glory of Easter Sunday. In various countries and languages, what I call “Good Friday” is known as “Silent Friday” or “Great Friday” or “The Long Friday”. Some countries close schools and government offices; in others, many businesses close so that employees can attend religious services. Doesn’t the idea of that just warm your heart? It does mine, and it gets me thinking about how I might put together my own lovefeast. I imagine inviting dear friends to join me around a table for a thoughtfully prepared meal. I imagine seeing their delight as they greet each other with forgiveness and acceptance. I imagine a toast to friendships time-tested and new. I imagine feeling tears well in my eyes as I look around at the sweet souls beside and across from me and feeling so grateful for their presence in my life. I also imagine you there. For although we are geographically all over the globe, making a sit-down dinner with all our LWB sisters impossible, when I am here with you, on these pages, I am strengthened by our spirit of harmony, goodwill, and congeniality. I release past hurts and look to the future. I feel accepted and loved. And that feels so very, very good. 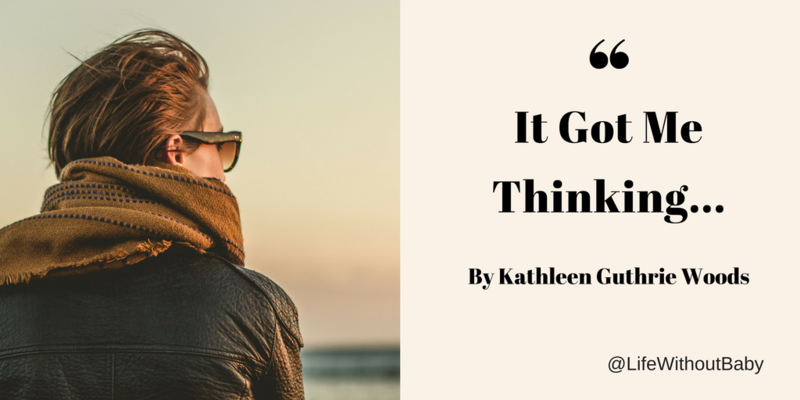 Kathleen Guthrie Woods is counting her blessings today. What a wonderful post Kathleen. And such a wonderful idea. After my experience I “lost” my faith. I put it in quotes because I don’t feel like it is a loss. What I have gained is a true understanding of science, myself, and others. It’s always a minefield out there. But generally people are good and celebrating that as you mention in your post sounds like a truly great thing to do. Hugs. Easter is indeed a special time, but can be quite isolating too, as is such a family time of celebration also with chocolate eggs and holiday fun. Thanks for remembering us your LWB freinds. I love the idea of a Lovefeast too, and I love your personal vision for it!